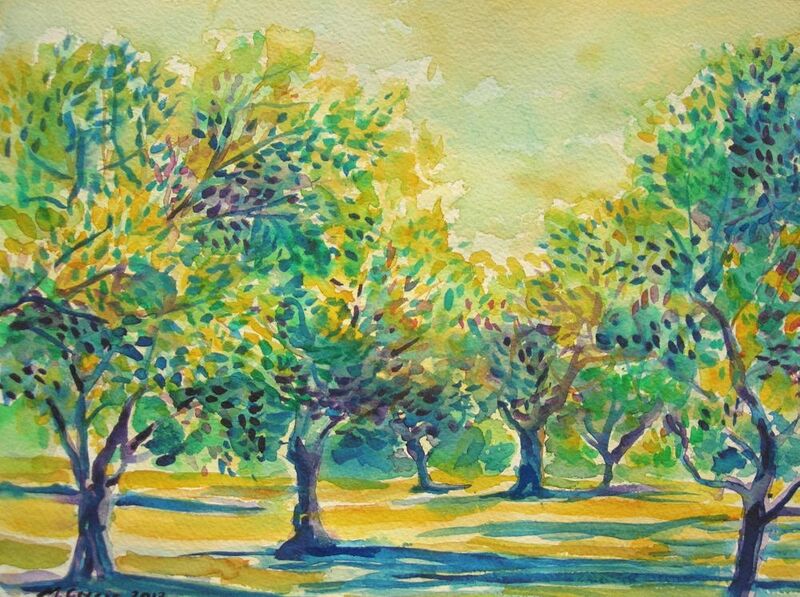 Breeze in olive orchard III, 2017. Noble olive trees and Summer are made for each other. The ever changing shades of green leaves flickering in the Summer breeze, and distinctive trunks with gnarled barks make perfect theme for a work of art. Artwork is made on Arches rough grain 300gsm watercolour paper with Winsor&Newton watercolour paints. It is signed on the front. It is dispatched unframed with Certificate of Authenticity signed by me. All times are GMT 0. The time now is 6:41 pm.